You opened the trading platform, selected the asset and even customized technical indicators, of some strategy. After reading a lot of books, you think that the market can be predicted: indicators may help with this, analyzing the history of past periods, and sometimes it will be possible to predict the direction of the trend by fundamental factors. Alas, the big players are waiting for such beginners and optimistic traders, and prepare traps in Forex. And they are the No. 1 hazard in the Forex market (assuming fair broker). Partially I already talked about this when I wrote about stop-loss, and will continue to cover this topic further. 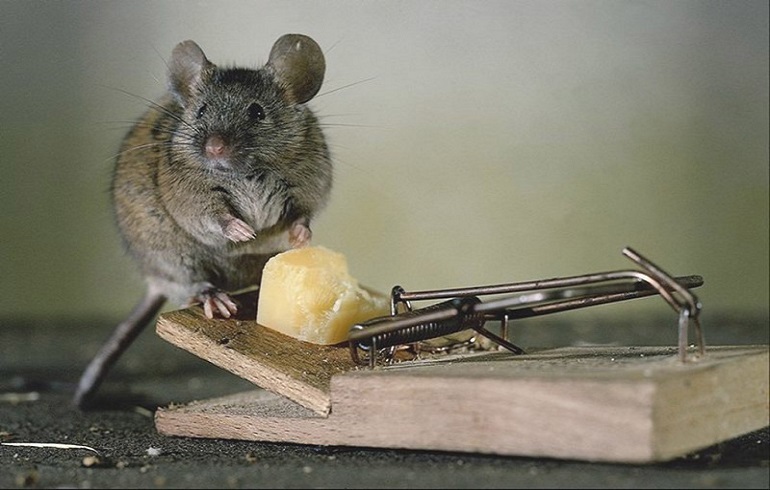 1 Traps in Forex: caution first and foremost! Traps in Forex: caution first and foremost! Imagine that there is a group of traders in the market who have access to insider information, big capital, and access to everything that is happening in the market? What do you think, wouldn’t they use this information to your advantage? Alas, the commercial world where money is above honesty and reputation is tough for beginners. And believe me, traders will do anything to lure you into traps in Forex and the lure of money. In the stock lexicon of the behavior of traders it is called Smart Money and there are a number of ways to recognize such traps. Important: you can not resist such pitfalls in Forex, also it is impossible to get away from them as you are a single unit with the market. You have two options: either to cancel the trade, or to join a stronger ones and to take money from weaker people. Cruel? Maybe, but I recommend the second option. There is no clear reaction. In the first case everything is clear: there is a surge, there is a reaction to the price chart, we know who won and be on the side of the stronger player (even more spurring the trend). The second case is less straightforward. The stronger players try to hide their true intentions (traps in Forex with price fluctuations), while holding down the price, and then expanding the market in the right direction. A similar technique is called “trade-on the contrary”. Error of watching trader is that he decides that the bears win and opens a position in the direction of lowering the rates. And here entering the bulls, who earn on such traders. Of course there are times when the big investors are not interested in trade, it is a good time to trade for novice investors. But in the case of a sharp rise, I would advise you or look at previous technology (to try to predict the intentions of strong players), or not to risk. If the price protects the resistance level and easily passes the support level, it means that large traders are willing to further reduce the price. If the price is not moving in any direction, it means that large traders are not willing to manipulate the price, and flat is observed in chart. These traps in the Forex market are able to quickly deprive the simple trader its capital. Because for simple trader it is important to determine the direction of the trend by market bursts and wrap it in their favor. Of course, the reason for the surge may be a fundamental factor, because it is important to understand all the process of Forex in principle, and to understand them, but that only comes with experience!